Would you like to feel more in control when buying a new, used, or certified pre-owned vehicle? You can by visiting a reputable dealership near Mandeville, LA. Along with a staff of seasoned salespeople, the right dealer has an in-house finance department staffed by experts who help customers with car loans every day. Whether looking to pay cash, finance the entire amount, or use a trade-in combined with a loan, one dealer minutes from Mandeville, LA, can help. Instead of believing old rumors about the dangers of dealership car loans, it is essential to understand that when compared to traditional lending institutions, there are several benefits to financing a vehicle from a trusted dealer. While not the most important factor, convenience is one reason to consider car loans from a respected dealership. You can visit the location, browse different years, models, and trim levels, take a few for a test drive, and then select the one you want. You then walk to the finance department, sit down with a professional, and in a relatively short amount of time, drive home in your newly purchased automobile. What could be more convenient than that? The right dealer can often get customers extended terms on car loans, unlike banks and credit unions that usually have a cap of 72 months. For some people, six to 12 additional months to pay can make the difference between loan approval and denial. If you need to keep your payments low to qualify, it makes more sense to work with a financial expert at a dealership who can help with that. You also need to consider interest on car loans. While conventional lenders have limitations as to what they can offer, especially to someone with less-than-perfect credit, a reputable dealership is different. Because the finance department works with many top lenders, a specialist has more control of the interest rate. Regardless of your situation, we feel confident we have a solution. 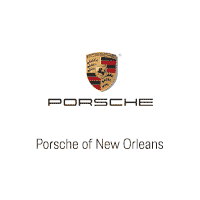 If you think you cannot afford to purchase a vehicle, visit us at Porsche of New Orleans, only 35 minutes from Mandeville, LA, to see what our financial experts can do to help you close a deal on an incredible vehicle. We have an impressive inventory of cars, trucks, and SUVs, competitive prices, and an on-site service department in addition to financing.